As part of the Manchester Township Police Department’s #NotEvenOnce high school opiate awareness program, Chief Lisa Parker is proud to present a video interview with Shelly Lowe, a resident of Manchester Township who tragically lost her son to an overdose. Entitled “Through the Eyes of a Mother, the Adam Lowe Jr. Story,” Shelly Lowe bravely tells her powerful story about the heartbreaking loss of her son on November 28, 2016. “Mrs. Lowe agreed to assist our #NotEvenOnce program because she wants to prevent this type of tragedy from happening to other families. Because of how moving this video is, I wanted to share it beyond the classroom and with our entire community with hopes that her message of prevention will be heard loud and clear,” said Chief Parker. We invite all residents to view this video on the “#NotEvenOnce” page of our police website, www.ManchesterPoliceNJ.com/Not-Even-Once. This link also contains more information and resources regarding the #NotEvenOnce program. With nearly 400 law enforcement and education professionals from throughout the State of New Jersey trained by Manchester Township Police officers to teach our #NotEvenOnce program in their local school districts, this video will be shown to students so that they can understand how families suffer due to drug abuse. We continue to offer #NotEvenOnce training on a regular basis, most recently welcoming a group of more than 30 individuals to the Municipal Complex Civic Center on October 16 to learn how they can instruct the program in their communities. 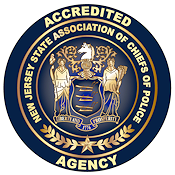 Chief Parker and the Manchester Township Police Department would like to thank Shelly Lowe for having the courage and strength to tell her story, as well as Ralph Bertini from Ocean County College for his assistance in producing the video.